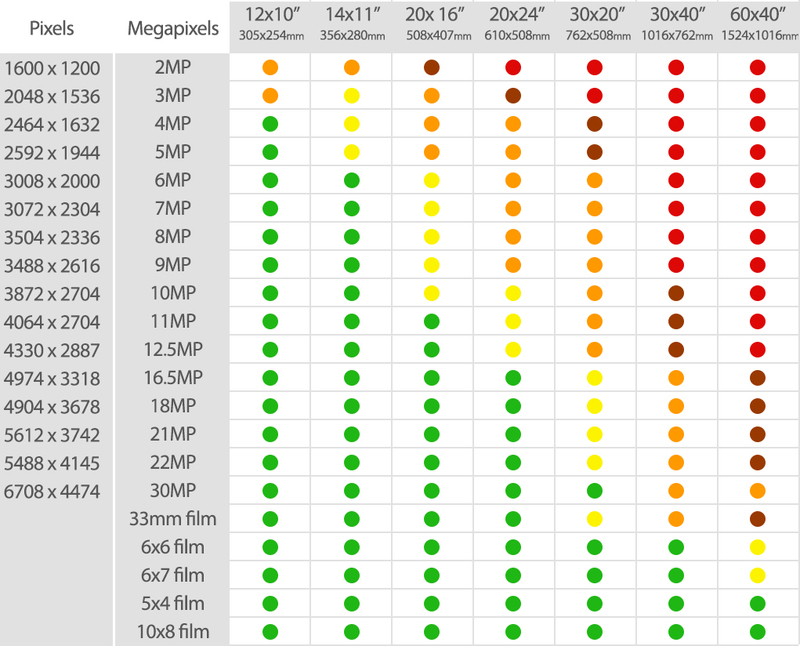 A print size guide based on a cameras sensor size in megapixels and file size in pixels. 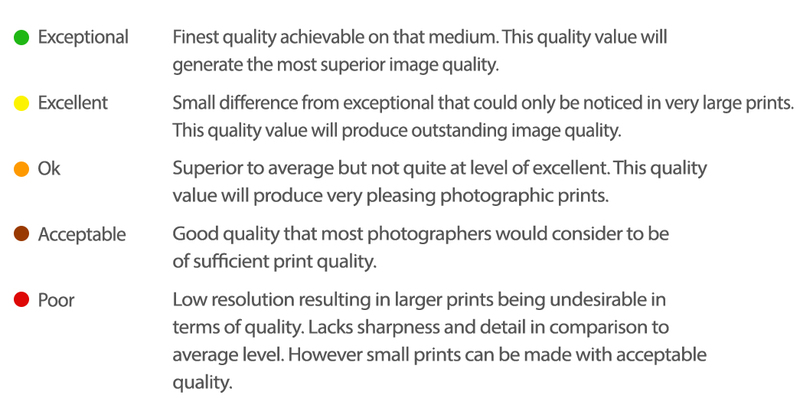 Theprintspace's print size guide to help you achieve the best results for your prints. Find the optimum size for your artwork. There are many factors contributing to the quality of digital image files that determine how large you can print your artwork. The three main factors are the camera sensor size defined in megapixels, the quality of the lens and the subject matter of the photograph. For example an abstract image would be more easily enlarged compared to an image that was slightly out of focus. At theprintspace we recommend producing a test strip at the largest possible size you may require to assess the print quality. This also gives you a chance to check colour, sharpness and the impact of enlargement made to the file. Remember large prints will have a bigger viewing distance to take into consideration. The following size guide is based on camera sensor size in megapixels. 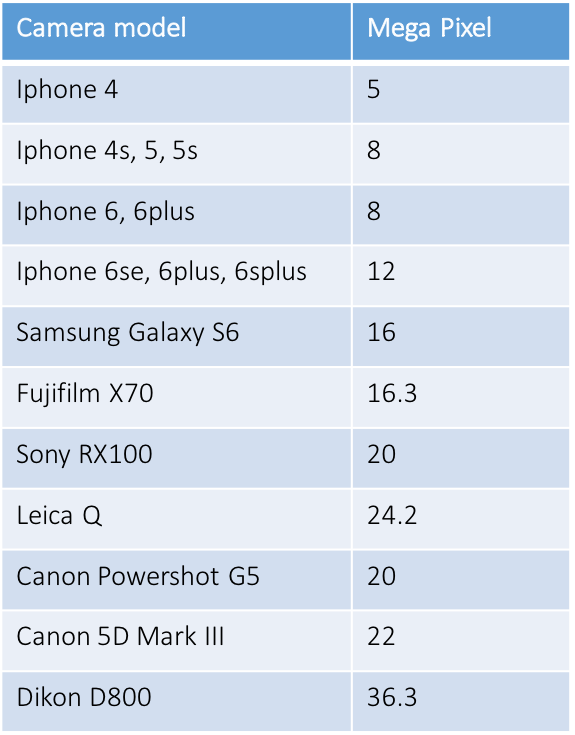 There is a table of popular phones, bridge cameras and digital SLR’s to reference but ideally its best to find your own camera’s sensor size in megapixels. In the table at the top of the page follow the first column down until you find the nearest value for your camera and use the colour key as a guide to indicate the quality of your print at the various print sizes. Still unsure about the best size to print your files? Get in touch today!